Location: Situated in Taoxian Town, southern suburb of Shenyang, Shenyang Taoxian International Airport is 11 miles (18 kilometers) from the city center. Brief Intro: Shenyang Airport is an air transportation junction in northeast China. Nowadays, there are 126 domestic air lines and 23 international air lines. Some of the destinations are very famous tourist destinations, including Beijing, Shanghai, Xi'an, Shenzhen, Guangzhou, Hangzhou, Hong Kong, Macau, Taipei, Seoul, Osaka and Tokyo. Shenyang Airport has only one terminal building (T3), covering an area of about 300, 000 square yards (250,000 square meters). Since Jan. 1, 2018, the 144-hour Visa-free Transit in Liaoning scheme has been implemented in Liaoning for citizens from the above 53 countries and regions including USA, UK, Australia, Canada, France, Germany, Italy, Denmark, Netherlands, Spain, etc., and Shenyang Taoxian Airport is one of the entry / exit ports. 1. The international check-in counters will be closed 45 - 60 minutes before airplane takes off. Passengers are suggested to arrive at the airport 105 – 120 minutes in advance. 2. The domestic check-in counters will be closed 45 minutes before the scheduled departure time and it is suggested to arrive at the airport 2 hours in advance. 3. If passengers do not have check-in luggage, please go through no-luggage counters. If one gets an e-ticket, it is ok to check in via the self-service check-in machine. Taoxian Airport provides two shuttle bus routes to several transportation hubs, such as Shenyang Railway Station and North Railway Station. The airport also operates long-distance buses to nearby cities, such as Fushun, Liaoyang and Anshan. Besides, taking trolley car and taxi is available. Note: Laptops, mobile phones and jewels are regarded as valuable belongings. Shenyang Airport Hotel is about 900 yards (820 meters) away from the terminal building. It provides free pick-up, check-in assistance, copying & fax and shuttle bus ticket booking services. Bank of China and its ATMs are available near Gate no.11, the south of Arrival Hall, 2F. 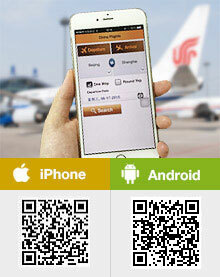 Passengers can exchange GBP, EUR, USD, SGD, JPY, CAD, KRW and HKD. It is easy to find a public telephone in the terminal building. Passengers need to purchase an IC Card first. The card is available at Inquiry Counters at Departure Hall & Restricted Area of 2F. It costs CNY 50 each. It provides the services of fax, copying & printing, typewriting and SIM Card Selling. It costs CNY 10 per person. People over 70 years old, disable people, pregnant woman and children under 12 years old can enjoy free service. Free Wheelchairs: They are available at each Information Desk. Is the Shenyang airport shuttle bus service to the city? Is there an airport shuttle bus service I can take to north station or hueyue express station. where is this airport bus service located in taoxian airport and what is the fare to the above station. Do the buses and trains really end around 6pm everyday? That seems so early. I want to leave the airport to sightseeing but come back later at night as my flight is at 1am. Should I just pay for a taxi from the city? Generally speaking, you need to go back to the airport at least 2 hours in advance before the departure time. And yes, the shuttle bus from downtown to the airport will operate until 18:00. Thus you need to take a taxi to the airport. What is there to do in Shenyang? I have a 15 hr layover at the airport. Botanical Garden and Shenyang Imperial Palace are recommended attractions. You can go and see. In addition, remember to go back to the airport at least 2 hours in advance before the departure. Any coffee shop in Shenyang Airport, which brand? You can find Starbucks and Pacific Coffee inside terminal building. Just here. Info: Pacific Coffee is not accepting Credit Cards. Is there free WiFi in Shenyang airport? Yes, the airport provides free wifi service.